If you are not completely satisfied with the ShotSquare™ or there is an issue with it you can return it or exchange it, no questions asked. We can't imagine you ever needing to do this but if, for some reason, you are not satisfied with the ShotSquare, return it for a complete refund or if the product is defective exchange it for a new unit. 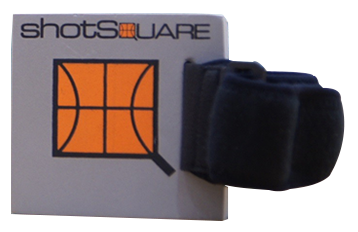 If you are not 100% satisfied with the ShotSquare, return it for a complete refund. The ShotSquare can be returned to us within 30 days from the date it was purchased for an exchange or refund. Exchanges: If your product is defective you can request an exchange. Do this by completing and submitting the form below. You will be sent a Return Authorization (RA) number. Remember to include your Return Authorization (RA) Number with your shipment. Returns: If you wish to return the product within the first 30 days, complete and submit the form below. You will be sent a Return Authorization (RA) number. Remember to include your Return Authorization (RA) Number with your shipment. A refund of the purchase price (excluding shipping and handling charges) will be applied to the credit card that was used for the original purchase. We do not offer cash refunds. All shipping charges, both outbound and return, will be at the buyer’s expense. After 30 Days: After 30 days the ShotSquare™ is not eligible for an exchange or refund.